When you look at the skyline of Pattaya in 2015 and compare it with that of, say, 10 years ago only, the contrast couldn’t be any starker. 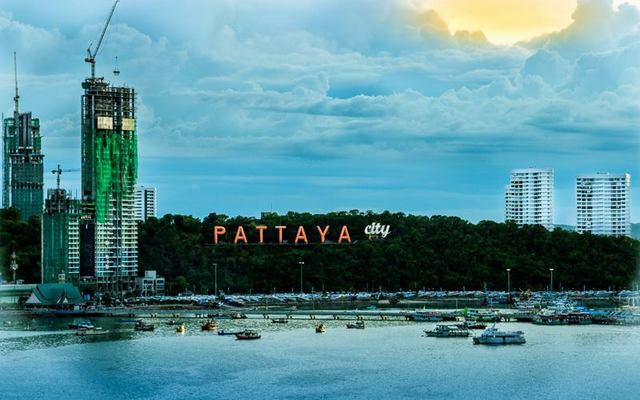 The building boom of the past decade, fueled by growing interest in property in Pattaya not just by foreign buyers, has very visibly left its mark. 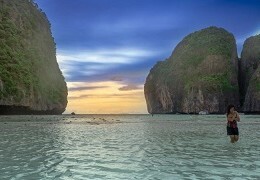 New high-rise condominiums have sprung up like mushrooms, especially in the areas of Jomtien and Wongamat beach, and yet new projects and construction sites continue to appear all over the unrecognizable skyline each month. Leaving aside the question of economic profitability and supply and demand (we mean, who’s gonna buy and live in all these empty rooms? 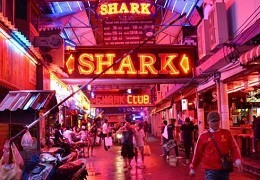 ), have you ever wondered which is currently the tallest building in Pattaya? 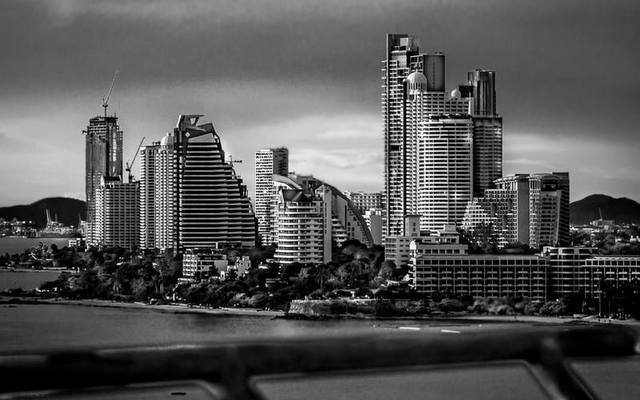 The skyline of Pattaya in 2015 as viewed from Pattaya bay. 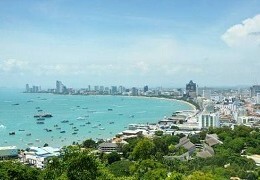 North Pattaya’s Wongamat beach skyline in 2014. If you’re still under the misconception that Pattaya’s tallest building was the 1995-built Pattaya Park Tower with a height of 180 metres and 55 floors, well, you’re obviously so last century. While the Pattaya Park Tower is still a very visible landmark in the skyline of Pattaya (and was in fact the tallest building in town until just five years ago) now it’s no longer anywhere near being the tallest structure south of Bangkok. 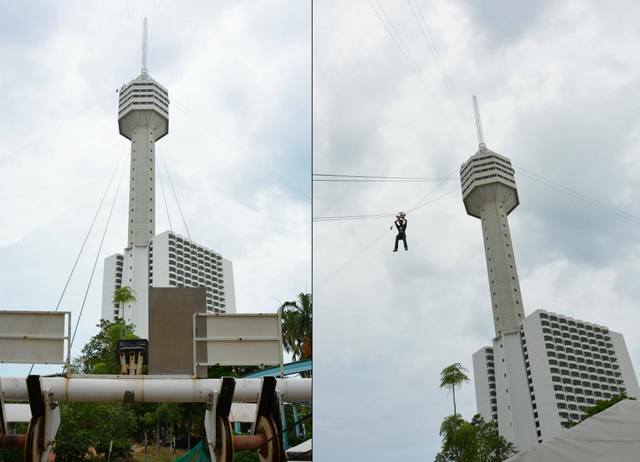 With a height of 180 metres, the Pattaya Park Tower has been Pattaya’s tallest building from 1995-2010. 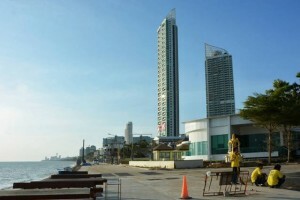 In 2010, Jomtien’s landmark tower was first overtaken by the southern tower of the Northpoint condominium (205 metres) on Wongamat beach in North Pattaya. Then, in 2013, with the completion of the Reflection Jomtien Beach condominium, the trophy for Pattaya’s tallest building eventually returned to Jomtien. The Northpoint South Tower on Wongamat beach is currently Pattaya’s second tallest building. With a total height of 234 metres and 57 floors, the Reflection Oceanfront Tower at the southern end of Jomtien beach since holds the record for Pattaya’s currently tallest building. Rising into the sky more than 50 metres higher than the pinnacle of the Pattaya Park Tower, the Reflection Oceanfront Tower is also among the top 10 of Thailand’s tallest skyscrapers (no. 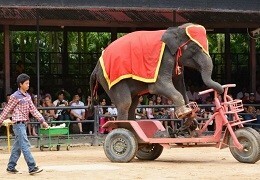 6 in 2015). Surprised? But guess what, the now 20-year-old Pattaya Park Tower doesn’t even come third anymore – it’s dwarfed even by the “smaller” Reflection Jomtien Beach Oceanview Tower. With a total height of 234 and 183 metres respectively, the Reflection Jomtien Beach Oceanfront and Oceanview towers at the southern end of Jomtien beach are currently Pattaya’s tallest and fourth tallest buildings. Here’s the top 10 of Pattaya’s tallest buildings in 2015, according to Wikipedia. Some are currently only topped-out, with completion expected by the end of the year though. Their position in the current top 100 of Thailand’s tallest completed buildings has been added in parentheses. The Waterfront Suites & Residences is a controversial condominium project at South Pattaya’s Bali Hai Pier. Construction was temporarily halted shortly after this picture was taken in 2014. For comparison: Here’s an image of Thailand’s currently still tallest completed building, the 85-storey Baiyoke Tower II in Bangkok, which is actually a skyscraper hotel. 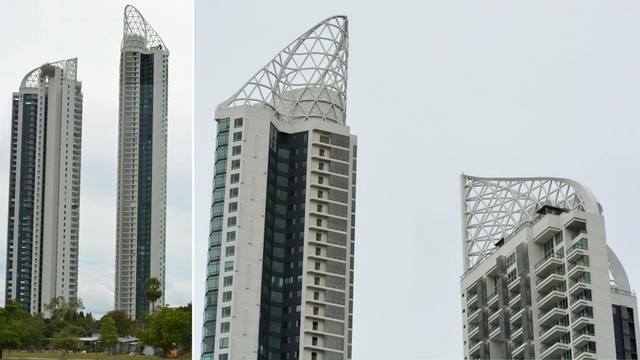 The seventh-tallest all-hotel structure in the world was built in 1997 and has a height of 328.4 metres (1,077 ft), dwarfing Pattaya’s tallest building by nearly 70 metres. Then again, before the end of this year, the Baiyoke Tower II will be dwarfed itself by the soon-to-be-completed MahaNakhon skyscraper in the central business district of Bangkok. Upon its estimated completion by the end 2015, it will become the tallest building in Thailand at 314 metres (1,030 ft) and 77 floors. The Baiyoke II Tower in Bangkok, Thailand’s tallest building since 1997, will soon be dwarfed by a brand-new skyscraper in Bangkok’s central business district. 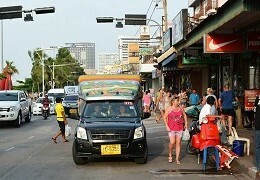 By the way, more often than not, it’s low-rise on-site slums like this one where the construction workers – often (illegal) immigrants from Burma and Cambodia who work for less than the meagre minimum wage of 300 Baht a day – are dwelling during the construction phase of Thailand’s luxury high-rise buildings. Like it or not – that’s the other side of the coin.